Rep. Caddy McKeown (D Coos Bay) kicked off the ORECA 2017 Legislative Day program March 15 with the keynote address on an issue that links all Oregonians: transportation. 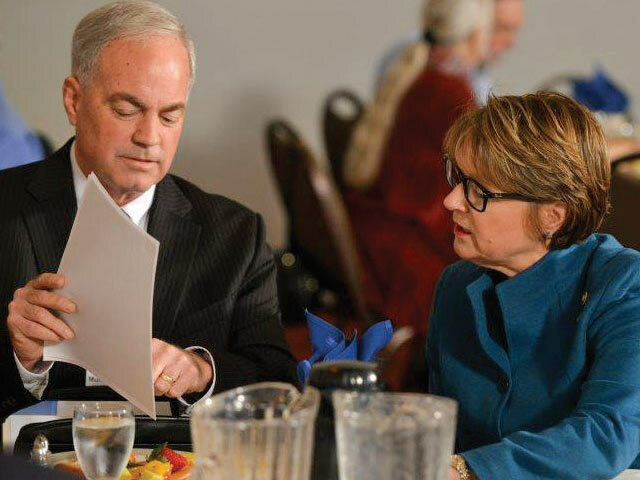 McKeown, whose coastal district is served by two electric cooperatives—Douglas and Blachly Lane— and who is a member of a third—CoosCurry— has been given one of the most challenging assignments of the legislative session. Along with Sen. Lee Beyer (D Springfield), McKeown is cochair of a diverse, 14member Transportation Modernization and Preservation Committee that is exploring options about how to address the state’s aging infrastructure. McKeown is well suited for the role. In 2003, she was appointed by then Gov. 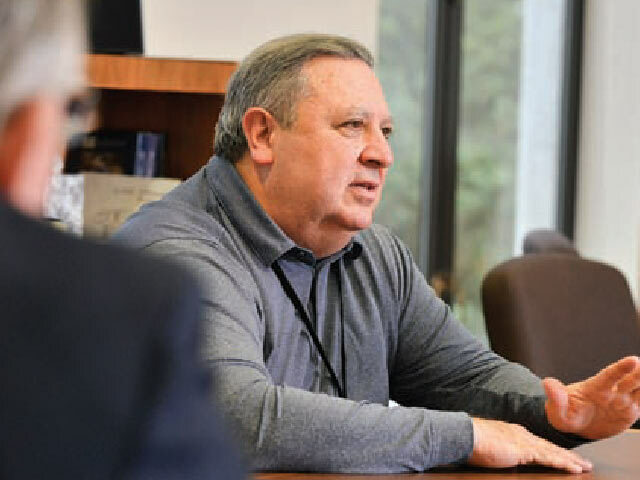 Ted Kulongoski to the Board of Commissioners of the Oregon International Port of Coos Bay. She served nine years on the commission, playing an integral role in the purchase and rehabilitation of the Coos Bay Rail Line. West Oregon Electric’s Robert VanNatta listens to a debate on the House floor. From that experience, McKeown said, “transportation became part of my blood.” In her speech to more than 70 Oregon electric cooperative leaders at the Salem Conference Center, McKeown outlined the geographic sweep of the transportation issues facing Oregonians: from the seismic challenges that threaten electric cooperative consumers along the Oregon coast to dredging issues that are the lifeblood of the economies tied to the Columbia River. While nimbly handling a host of questions ranging from electric vehicles to studded tires, McKeown also foreshadowed a startling technological breakthrough. “Autonomous vehicles are coming,” she said. While passing a transportation package in any session requires the skill of someone walking the centerline of a busy highway, McKeown looks at the issue in terms of the future. Sen. Ted Ferrioli (R-John Day) meets with Oregon electric cooperative leaders. “We need to pass off our transportation infrastructure to our children in good stead,” she said. 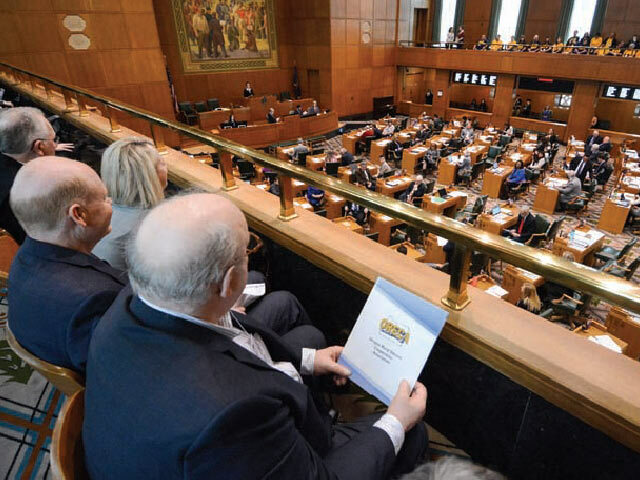 Oregon electric cooperative leaders headed to the Capitol to inform legislators on a range of issues, including the state’s controversial plan to spill more water over eight dams in the Columbia River system. The plan, which will raise electric rates for rural Oregonians and exacerbate global warming by replacing clean hydropower with natural gas, is the subject of litigation in federal court.